Bleeding, or "winterizing" your home's sprinkler system is one way to protect your sprinkler system from freezing during winter. An easy way to do this is by draining the pipes and then blowing it out to dry with an air compressor. Compressed air blowing through your sprinkler system will prevent pipes from cracking and exploding. Here's an easy step-by-step process you can follow for bleeding your sprinkler system. Bleed your sprinkler system to avoid any potential problems. Locate and turn off the main water valve for your sprinkler system by turning the valve in the clockwise direction until it is fully closed. You will find the main water valve outside your house near the control box of your sprinkler system. Locate the sprinkler head. Dig out around the sprinkler system an area 7inches in diameter with a shovel. 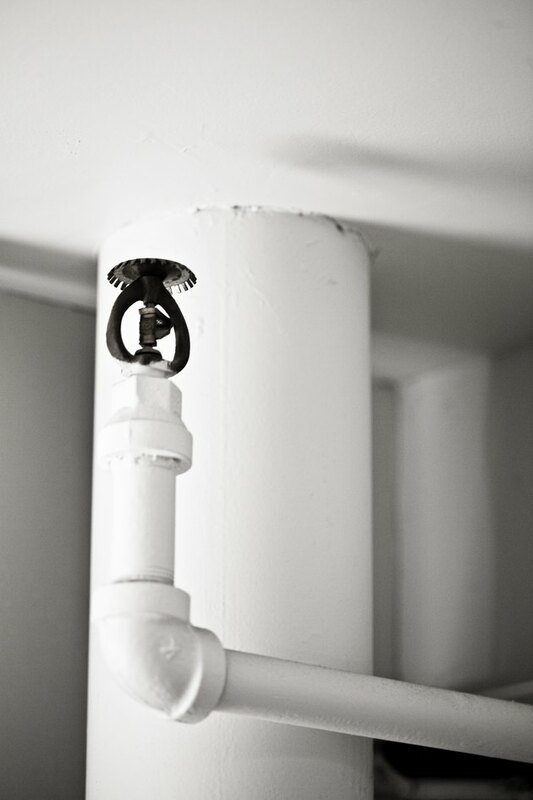 Make sure you expose both the sprinkler head and riser that connects to a series of water pipes underground. Search for the brass vacuum breaker, which is usually located in front of the sprinkler valve manifold. Detach the sprinkler head from the main water line. Unscrew the screws holding the sprinkler head into the sprinkler system, using a flat head screwdriver. Firmly grip the sprinkler head, then turn it in a counterclockwise motion to loosen the head from the system, using a socket. Pull the sprinkler head out of the system using your hands. You can also use a pair of pliers, if necessary. Drain the main valve into a bucket by turning it clockwise with a socket wrench. Place another bucket either under the main line's drain or under its main shutoff valve as you turn open the drain knob. Leave the knob open until the water has completely stopped draining from the system. Connect the compressor to the vacuum breaker. Locate the two threaded bleed valves at the side of vacuum breaker, then remove their black caps at the bottom of the threads. Attach the compressor's universal connector to the exposed bleed valves. Ensure that the air compressor is in proper position before torquing. Switch off the main control on the control panel to ensure that the water does not go back into the pipes until you want to use the system again. Judith Selleck began her writing career in 2002. She has written for several online publications, as well as Waldorf Astoria/Waldorf Towers and Liberty Science Center. Selleck holds a Bachelor of Arts in journalism from the Central Saint Martins College of Art and Design.